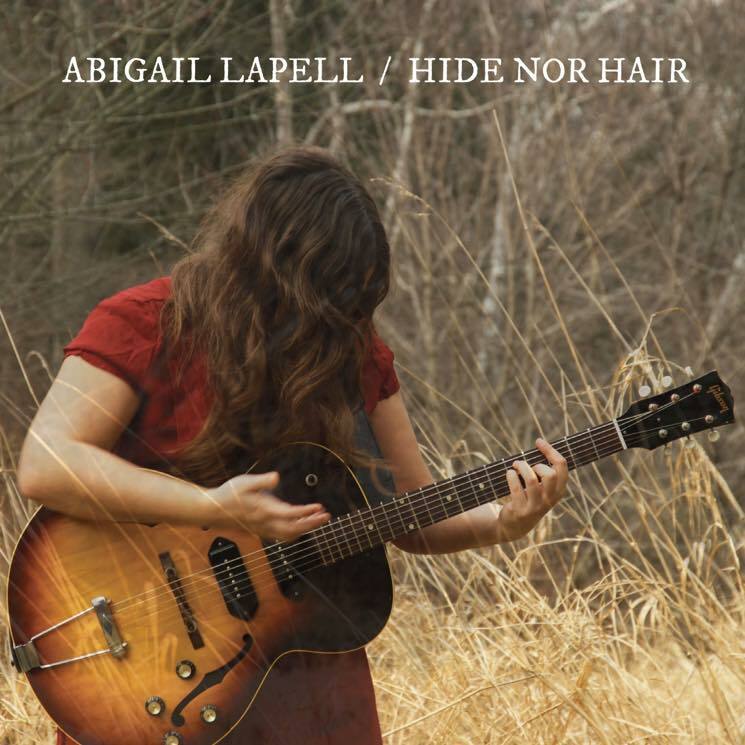 Toronto singer-songwriter Abigail Lapell releases her sophomore full-length Hide Nor Hair next week, but Exclaim! is giving you an early listen to the album in its entirety right now. The latest record follows 2011's Great Survivor and hears Lapell abandoning the bedroom-recorded DIY of her debut in favour of a more elevated sound. It was made at Union Sound in Toronto, with producer Chris Stringer (Timber Timbre, Ohbijou) helping guide her in the new sonic direction. It also features the talents of Benjamin Hermann on drums and vocals, Rachael Cardiello on viola, Joe Ernewein on bass, Jessica Moore on backup vocals and Mike Eckert on pedal steel. The 10-track set features piano balladry ("Jordan"), "anti-love songs" ("Diamond Girl," "Indigo Blue"), political observations ("Hostage Town") and even a whistling solo courtesy of Hermann ("Night Bird and Morning Bird"). You can hear the eclectic folk collection in its entirety below before it officially arrives on January 20 via Coax Records.